These weather vane photos were taken from the car as we drove by the County Courthouse in Woodbury, New Jersey. My favorite is the first shot taken when we were stopped at the traffic light. 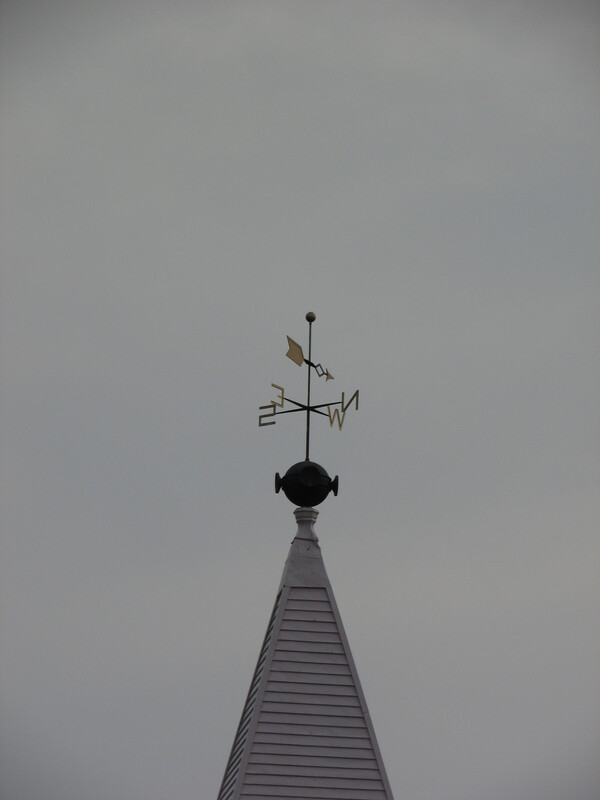 This particular weather vane is about three times the size of most. The County Courthouse was built in 1787. 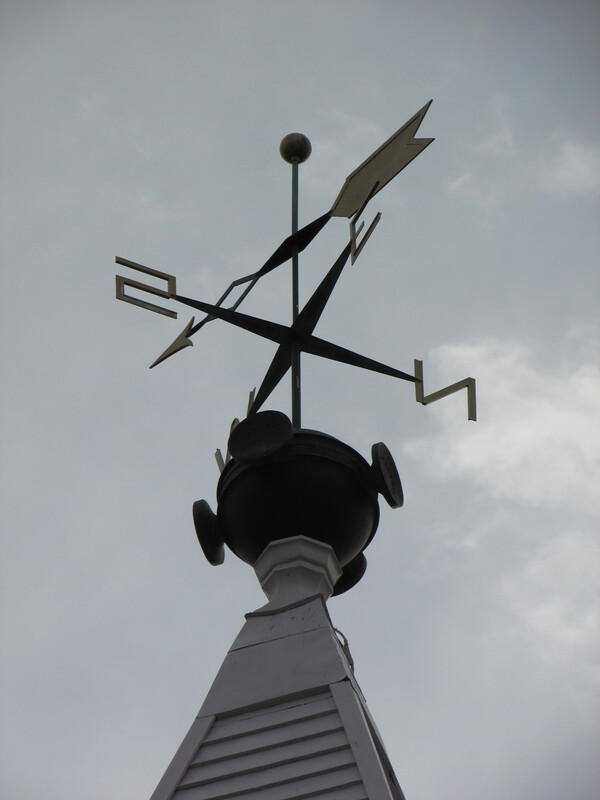 Please feel free to add links and pingbacks to this Weather Vane Wednesday. Enjoying the weathervanes. thanks for posting. Thanks Ruthie…I enjoy looking for them. Yes, weather Vanes are very fascinating. We have fun searching for them. I forgot to look for weather vanes. We’ll be in the mountains tomorrow and not likely to see any. The one you posted is lovely. They show up sometimes in the the unlikeliest places. Love weather vanes! Thanks for sharing this one. I do too…now I am looking for them everywhere. Fun! If you find a good one leave a pingback or link in the comments of one of my Wednesday posts. I’d love to see it!